These days, you can’t turn on the TV, walk down the street or have a conversation without experiencing hip-hop and R&B’s influence. It’s even infiltrated pop culture over the years and ingrained itself in the minds of people all over the world. But this isn’t anything new. Look back at the Harlem Renaissance and you’ll find black artists that helped shape the way we see the world through their talents. That influence will be evident when the 67th Primetime Emmy Awards take place Sunday (Sept. 20) at the Microsoft Theater in Los Angeles. The prestigious ceremony, hosted by comedian Andy Samberg this year, honors the best in U.S. prime time television programming. Leading nominees include Tinseltown heavyweights such as Anthony Anderson (Black-ish), Don Cheadle (House of Lies), Viola Davis (How to Get Away With Murder) and Taraji P. Henson (Empire). 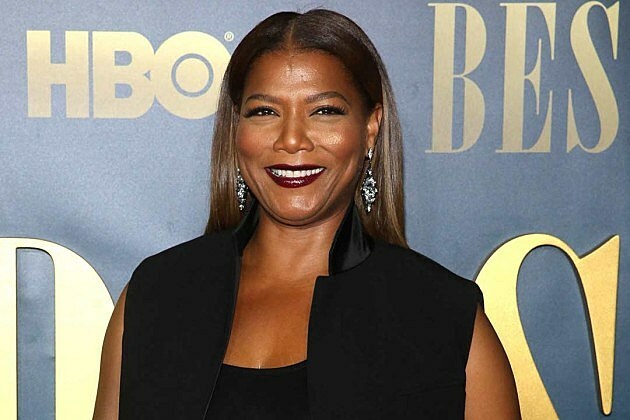 Hip-hop is also represented in a big way with legendary rapper-turned-actress Queen Latifah snagging a nomination for Outstanding Lead Actress in a Limited Series or Movie for Bessie, HBO’s biopic of legendary blues singer, Bessie Smith. Directed by Dee Rees, Latifah stars as Smith and turns in a riveting performance and spot-on portrayal of the conflicted pioneer, making for yet another highlight in the career of one of hip-hop’s most decorated offspring. Latifah’s Emmy nomination is the second of her career, with the first coming in 2007 for her role as Ana Wallace in the HBO movie Life Support, which was loosely based on the real-life story of a HIV-positive woman. Despite ultimately losing out to Hellen Mirren as Jane Tennison in Prime Suspect: The Final Act, that first nomination helped Latifah achieve a major milestone in her career: being the first female rapper to be nominated for a Primetime Emmy Award. We’re hoping that this year she can actually rewrite the history books as the first rapper (male or female) to become an Emmy Award-winning thespian. And while Queen Latifah may be the sole representative from the hip-hop community at this year’s installment of the award show, the genre has a deep history with the Emmys. Rap artists being on TV is nothing new. Will Smith (The Fresh Prince of Bel-Air), LL Cool J (In the House) and Fredro Starr (Moesha) all made waves throughout the ’90s, but it may be surprising to know that the first rapper to actually be nominated for a Primetime Emmy Award is the artist formerly known as Mos Def, Yaasin Bey. He earned a nomination for Outstanding Lead Actor in a Mini-Series or Movie for his role as Vivien Thomas in the 2004 HBO flick, Something the Lord Made. Unfortunately, Yaasin would lose out to acting legend Al Pacino (Angels in America), but made hip-hop proud by even being mentioned alongside seasoned thespians such as Antonio Banderas, James Brolin, and Alan Rickman. Belafonte would also becoming the first artist “to sell over one million copies [of an LP] within a year,” as he once declared on the Canadian Broadcasting program, The Link, in 2012. Nominated for the 1956 Primetime Emmy award for Best Male Singer and Best Specialty Act – Single or Group as well as various other categories in the subsequent years, Belafonte stands as the most accomplished African-American singer in the awards show’s history. Women were known to play the background in Belafonte’s heyday, but his female counterpart, Diahann Carroll, helped to defy that social standard. Born July 17, 1935, Carroll is known more for her career as a trailblazing actress, her first big break initially came from her skill as a singer, winning the Dumont Television Network program Chance of a Lifetime in 1954. Following a short stint performing in New York nightclubs, Carroll was cast in Carmen Jones — one of the first major studio films to feature a black cast — but her starring role would come in 1968 with the television series Julia. She landed the title role, becoming the first African-American actress to star in a television series in a non-stereotypical role. Her performance would earn her a nomination at the 1969 Primetime Emmy Awards for Outstanding Actress in a Comedy Series, her first of four total nominations over the course of nearly 40-year career. Her last Emmys nod came in 2009 for Outstanding Guest Actress in a Drama Series as Jane Burke in Grey’s Anatomy. But the era in which the Emmys would truly embrace black music would be the ’80s, which saw a slew of nominations going to some of the most talented artists of all-time, particularly in the Individual Performance in a Variety or Music Program category. Being the biggest star of the ’80s, it was quite appropriate that Michael Jackson would be the first R&B performer of the decade to pop up in this category, earning a nod in 1983 for his appearance on Motown 25: Yesterday, Today, Forever. The King of Pop would ultimately lose to Leontyne Price and Live From the Lincoln Center. 1985 would feature an appearance from Patti LaBelle following her appearance in Motown Returns to the Apollo, but would be edged out by George Hearn’s performance in Sweeney Todd: The Demon Barber of Fleet Street. At the time, rising star Whitney Houston and her showing at the 28th Grammy Awards came out on top in the Individual Performance category. Despite Houston being the winner, Wonder also made history that year by becoming one of the inaugural nominees in the Outstanding Guest Performer in a Comedy Series category. Two years later in 1988, Ray Charles would also be nominated in the Outstanding Individual Performance in a Variety or Music Program for Irving Berlin’s 100th Birthday Celebration, but would lose to now-deceased comedian Robin Williams. Since recognizing the merit of R&B in a big way during the ’80s, the Emmys have continued to highlight the best the genre has to offer. Crooner Justin Timberlake won the award for Outstanding Guest Actor in a Comedy Series in 2009, for his work as host on Saturday Night Live and Vanessa Williams earned three consecutive nominations (’07-’09) in the Outstanding Supporting Actress in a Comedy Series for her role as Wilhelmina Slater on Ugly Betty. This Sunday will mark the newest chapter of the Emmys relationship with hip-hop and R&B. In comparison to the Grammys and the Academy Awards, the Emmys still have a ways to go in terms of truly celebrating the brilliance of icons like Queen Latifah and other singers and rappers putting their acting chops on front street. A loss wouldn’t mean the end of the world, as Latifah is pitted against talented actresses Maggie Gyllenhaal (The Honorable Woman), Emma Thompson (Live from Lincoln Center – Sweeney Todd: The Demon Barber of Fleet Street), Frances McDormand (Olive Kitteridge), Jessica Lange (American Horror Story: Freak Show) and Felicity Huffman (American Crime). But a win would mark a big victory for hip-hop. Queen Latifah taking home the Emmy statuette for her role in Bessie would open the door for more artists to get their just due for their contributions in the acting world and ensure that the revolution of our culture’s gradual takeover at the Primetime Emmy Awards will be televised for the world to see.